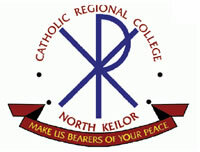 Our mission at Caroline Chisholm Catholic College is to strive to live Gospel truths and values. We seek to provide a holistic education. We endeavour to inspire and empower all members of the college community to reach their full potential. A Catholic secondary school; Years 7 - 12. 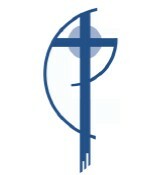 Gilson College is a Seventh-day Adventist primary and secondary co-educational school, located in Taylors Hill, Victoria. Prep to Year 12. The College’s educational activities are designed to provide opportunities for all students to achieve their maximum development, intellectually, spiritually, socially and physically. It has produced graduates that are leaders of integrity and have values well recognised by the community. Southern Cross Grammar is a co-educational, non-denominational school which ensures the highest quality of learning and facilities for children from when they are commencing their social experiences through to becoming active and involved citizens in our community. Students at Southern Cross Grammar will be immersed in a comprehensive, liberal curriculum, which enables individuals to pursue their talents and realise their potential. The pedagogy of the school will encompass both traditional and innovative teaching and learning. Southern Cross Grammar students will be lifelong learners who are sufficiently confident and flexible to contribute positively to any society within our global community. As lifelong learners, students will become knowledgeable about their world and be able to respond with confidence to complex situations. The students will be active learners who communicate effectively. As an integral part of the community, our school embraces the opportunity to provide a safe and caring atmosphere which welcomes and encourages the community to participate fully in the students' learning journey. 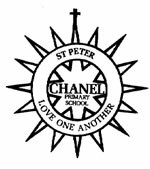 At St. Peter Chanel School our vision is to help students develop a personal relationship with God while being engaged in a rich learning environment. We aim to nurture a community which encourages participation, inclusion, a sense of belonging and a desire to learn. We strive to enhance learning through good practice and critical evaluation of ever-changing curricula. Christ the Priest Catholic Primary School is a community of children, teachers and parents working together to create a dynamic and vibrant educational learning environment. In doing so we strive together to create a school which is a centre of learning excellence and of personal and communal well-being. As a Catholic School, we are a community which celebrates our story, appreciating tradition, engaging in the present, and actively shaping the future. We recognise Christ as the centre of our lives calling us to be life-giving by the way we live the Gospel in our time. Through focusing on living Gospel values, we strive to empower our community to be people of hope for the world. Our enthusiastic and committed teachers, work to meet the needs of children preparing them for a life of learning. "Our schools work for the growth of each child to reach their full potential. We will work with our parish and each family enrolled for the benefit of the children. The policies and expectations we have in both schools help us educate the children in our care. Sacred Heart ,Emmaus and Cana Schools promote a sense of belonging and community based on the teaching of Jesus Christ, our teachers and life model." 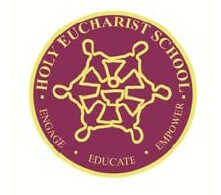 Our Religious Education Curriculum is reflected in the entire life of our school. This includes specific Religious Education lessons provided for the children as part of their regular classroom program. One of the main aims of the Religious Curriculum of our school is to help children understand that being Catholic is a way of life, not just a subject studied at school. Our School uses the Guidelines for Religious Education provided by the Melbourne Catholic Archdiocese together with our School Based Religious Education Program. 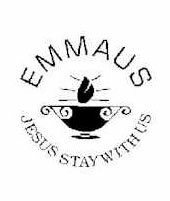 The staff of Emmaus believe that the Eucharist is central to all that they do. As a staff they attend Mass, live out gospel values and share their faith. They are mindful that they are at Emmaus for the children, and work together towards achieving common goals. They are generous and enthusiastic, sharing their gifts and talents. They are supportive and approachable, communicate openly and honestly, and value and respect each other. 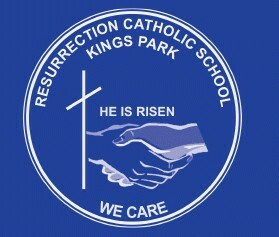 Resurrection Catholic Primary school is a vibrant and dynamic faith community. Our school motto ‘We Care’ is the cornerstone of what we aim to instil in our students. 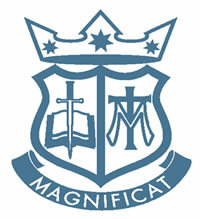 Our culturally rich Catholic school community values and respects the traditions of all our members.